The City of Alexandria is located in northern Virginia and is bordered by the District of Columbia (Potomac River), Arlington and Fairfax counties. With a population of approximately 150,000 and a land area of 15.75 square miles, Alexandria is the seventh largest city in the Commonwealth of Virginia. Alexandria has a charming waterfront and is a unique and historic place to live and work. About one-quarter square miles in the city have been designated as a national or local historic district. We proudly embrace our rich history and seize the endless opportunities that lie ahead. If you are interested in working for the vibrant City of Alexandria, we invite qualified candidates to apply for our Marketing Specialist. Overview The Marketing Specialist position, of the Public Information Specialist job class, performs responsible public relations/public information/communications work for a City department. Work in this class involves writing, editing and planning layout of brochures and flyers, writing articles, press releases, and/or planning and implementing publicity and promotional campaigns. Work requires the exercise of creativity and independent judgment and is performed under general supervision. Each member of our team is accountable for the outstanding delivery of services to the community. You will work to meet the need of our community. You will ensure service is Responsive, Professional, Courteous and Accountable. 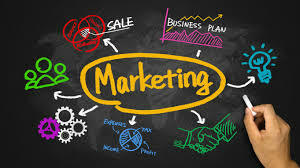 You will have the support of and work under the direction of the Marketing Manager. You will provide a work product that meets the high standards of excellence.